Malaysia is seen by most Western countries as one of the moderate Muslim nations, an ally to be cultivated and befriended in the battle against militant Islam. The country’s Prime Minister, Najib Razak, was among one of the leaders to visit US President Donald Trump in his first year of office in the White House. The honour came despite criticism from Malaysian civil-rights organisations about the cloud of financial-corruption accusations that hang over the Malaysian leader. A sovereign wealth fund he set up has been the subject of fraud investigations by the United States Department of Justice. But in the prosperous country of 32 million people, a rainbow nation of Malay-Muslims, Chinese, Indians and people of European extract, and of many faiths, Najib’s government is losing its veneer of moderation and appears complicit in backing hard-line Islamic structures that target the country’s minority faiths, including its Christians. Abductions of Christian leaders, disappearances and forced conversions are rarely out of the headlines. The lack of police and government urgency to investigate these incidents adds to the gloom that pervades non-Islamic faith communities. This was further exacerbated by two attacks on Malaysian churches in the first week of February, as the world observed Inter-Faith Harmony Week, a United Nations declaration the Malaysian government subscribes to. The UN initiative calls for Islamic and Christian leaders to engage in dialogue based on two commonly held religious principles – love of God, and love of neighbour. The two commandments are at the heart of the three monotheistic religions and provide a concrete theological common-ground for peace and goodwill. Rev. 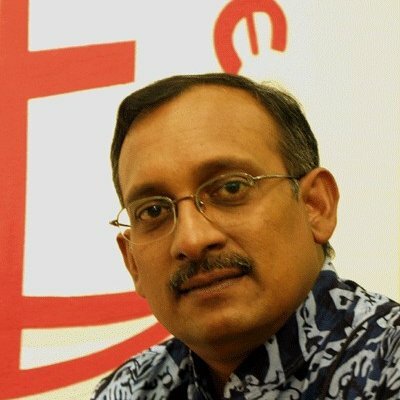 Dr. Hermen Shastri, general secretary of the Council of Churches Malaysia (CCM), told World Watch Monitor that, with a general election looming, the government is using churches as a “whipping boy” to shore up its Malay-Muslim support base. “We fear we are at the threshold of the undoing of the constitution [which guarantees that everyone has the right to practise his or her religion in peace and harmony], so that it becomes compliant to Islamic laws of sharia and hudud,” Rev. Shastri said. On Tuesday (6 February) the leader of the Islamic party (PAS), Haji Abdul Hadi Awang, painted Christianity as a caste-based religion because “pastors are considered sacred”. The Council of Churches took umbrage at what it called an “unwarranted and bigoted” attack and called for a retraction. Three days earlier, on Saturday 3 February, it was a government minister who called into question the integrity of churches. Tengku Adnan Tengku Mansor, the Federal Territories Minister, accused churches of spreading “lies” and “fake news” in sermons, to paint the government in a “bad light”. In a nation where intercessory prayers at ecumenical services routinely include prayers for the welfare of the country, and for its leaders to act and rule justly, such an accusation was seen as insulting and provocative. After 60 years of power, the ruling United Malays National Organisation (Umno) government has faced widespread allegations of corruption and kleptocracy. In Malaysia’ febrile political climate, Umno is cosying up to PAS to shore up its support, as the electorate abandons its traditional allies. In the elections five years ago Umno lost its two-thirds majority in Parliament and Najib is set on ending that blip in electoral fortunes. 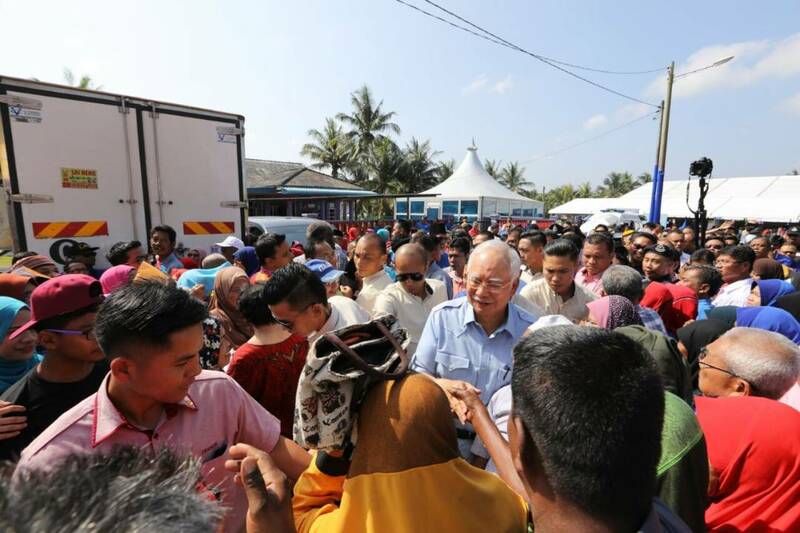 While the popularity of the leader and his wife, infamous for her fondness of US$22,000 Birkin handbags and diamonds, is in freefall, a political alliance with PAS has its attractions. For PAS the payoff is to further its theocratic ambitions to install sharia courts equal or superior to civil courts and impose harsh hudud punishments. The nexus of wide-ranging allegations of corruption among the ruling class, the encroachment of ultra-conservative strains of Saudi Arabia’s Wahabbi Islamic ideology and heightened election fever has even forced former Prime Minister Dr. Mahathir Mohamad to return to the political fray, at the age of 92, in an attempt to topple Najib and his cohorts. The Church is caught in a bind since its values of peace and goodwill sync with the progressive politics of the opposition seeking to overturn Umno’s absolute power, which is enriching the political elite and impoverishing society. “The government is seeking to insinuate some link between churches and opposition parties since our demands to practise our faith in freedom and non-interference, and for peace and harmony, resonate with the stance taken by the political opposition,” Rev. Shastri explained to World Watch Monitor. “Our prayer for Malaysia is for it to remain a secular nation as envisioned by the founding fathers in 1957 and to abide by the tenets of the constitution,” he added. The Christian community furthermore continues to mourn the unresolved fate of Pastor Raymond Koh, who was kidnapped in broad daylight in a military-style operation on 13 February 2017. 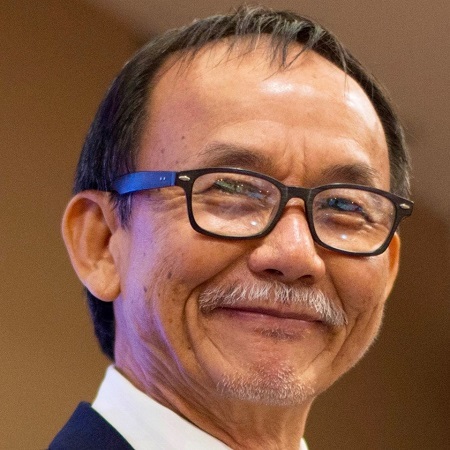 “As we approach the first anniversary of the violent abduction of Pastor Raymond Koh,” Archbishop Julian Leow Beng Kim, chairman of the Christian Federation of Malaysia, urged Christians “to continue to look to God in prayer and to seek closure [for] this dastardly act on a servant of God”. In a statement issued on Tuesday, 6 February, he called on the authorities “to complete with all urgency and diligence all investigations into finding Pastor Koh”, as well as the whereabouts of three others abducted – the social activist Amri Che Mat; and Pastor Joshua Hilmy and his wife Ruth Sitepu. He added that many Malaysians were “struggling to understand how and why fellow Malaysians can suddenly disappear and not be found for such extended periods of time” in a country where the police presence is pervasive. Rev. Shastri echoed the archbishop’s call. “It is beyond belief that people of religious faith, who commit their lives to working for charity, vanish into thin air. This should not happen,” he said. One other “disappearance” that continues to provoke debate in Malaysia regards the whereabouts of Muhammad Riduan Abdullah, a Hindu who on embracing Islam unilaterally converted his three daughters to the religion. The law stipulates that the permission of both parents should be obtained before any such conversion of faith of a minor. Nine years ago Riduan abducted his 11-month old daughter Prasana, while the two older daughters remained with their mother, Indira Gandhi. He has remained at large even though a High Court ordered the return of the child to her mother, after it granted her full custody of her children. So far neither he nor the child has been traced, even though the Federal Court, the highest court in the land, in 2016 ordered the police to issue a warrant for his arrest. Towards the end of last month, on 29 January, the Federal Court nullified the unilateral conversion of Indira’s three children, Tevi Darshiny, 20, Karan Dinesh, 19, and Prasana, now nine, to Islam by her ex-husband. The unanimous decision by the five-man bench is being seen as a milestone, showing that Malaysia’s courts remain secular and are “unaffected by racial or religious sentiments”, the president of the court, Zulkefli Ahmad Makinudin, declared. But as non-Muslims heaved a sigh of relief, Islamic groups denounced the ruling. 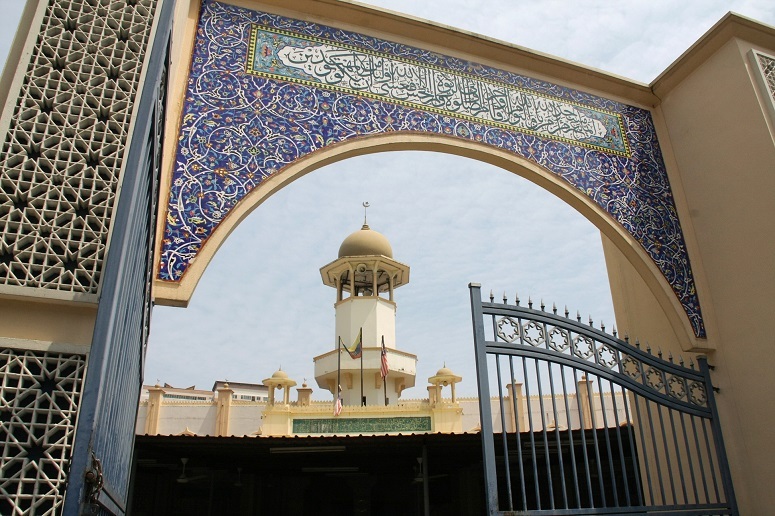 The Malaysian Islamic Organisation Consultative Council declared that the Federal Court’s decision contradicted the views of the majority of ulamas, or Islamic scholars. The Islamists want the government to amend the law to equate sharia and secular courts, since the Federal Court’s ruling only satisfied the minority and not the majority Malay-Muslim population. The organisation’s president, Mohd Azmi Abdul Hamid, said the ruling meant that Islamic law would play “second fiddle” to civil law and be a stepchild of secular courts. Despite this victory for minority faiths and their constitutional rights, Rev. Shastri is cautious. “The struggle continues,” he said. Asked how tenuous religious liberty was in the country, he said, on a scale of one to ten, with one being the apex of religious harmony, the constant attacks against Christians put freedom of practise of the faith in Malaysia at a depressing seven.